To Be an Arab in Israel fills a long-neglected gap in the study of Israel and the contemporary Arab world. Whether for ideological reasons or otherwise, both Israeli and Arab writers have yet to seriously consider Israel’s significant minority of non-Jewish citizens, whose existence challenges common assumptions regarding Israel’s exclusively Jewish character. Arabs have been a presence at all levels of the Israeli government since the foundation of the state. 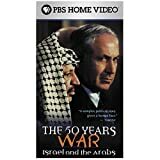 Laurence LouÃ«r begins her history in the 1980s when the Israeli political system began to take the Arab nationalist parties into account for the political negotiations over coalition building. Political parties-especially Labour-sought the votes of Arab citizens by making unusual promises such as ownership and access to land. The continuing rise of nationalist sentiments among Palestinians, however, threw the relationship between the Jewish state and the Arab minority into chaos. But as LouÃ«r demonstrates, “Palestinization” did not prompt the Arab citizens of Israel to set aside their Israeli citizenship. Rather, Israel’s Arabs have sought to insert themselves into Israeli society while simultaneously celebrating their difference, and these efforts have led to a confrontation between two conceptions of society and two visions of Israel. LouÃ«r’s fascinating book embraces the complexity of this history, revealing the surprising collusions and compromises that have led to alliances between Arab nationalists and Israeli authorities. She also addresses the current role of Israel’s Arab elites, who have been educated at Hebrew-speaking universities, and the continuing absorption of militant Islamists into Israel’s bureaucracy. 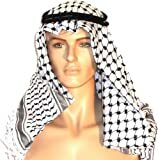 To Be an Arab in Israel is a discerning treatment of an enigmatic, little known, but nevertheless highly influential people. Their effect on the balance of power in the Middle East seems destined to grow in the twenty-first century.